http://go.redirectingat.com/?id=86205X1538674&xs=1&url=http%3A%2F%2Fwww.sephora.com%2Fchampagne-by-becca-P420603 2015 will be forever go down in beauty history as the year of the highlight. While it's always been a technique used by professionals, it was just this year that everyone became knowledgeable and thus obsessed with highlighting. 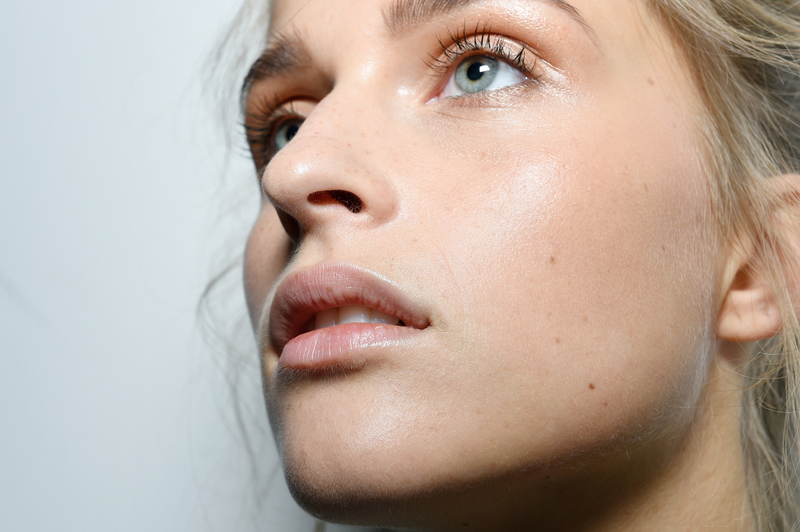 Here are the best highlighters of 2015 so the glow be will be carried on with you through 2016. Highlighter looks great pretty much all over your face: the tops of your cheekbones, bridge of your nose, your cupid's bow, underneath the brow bone, above the brow bone, in the corners of your eyes, you name it. It's actually totally acceptable to soak in the stuff, and some of our favorite celebrities are known to do so. Go (er, glow, heh) ahead. No judgement here. In the beginning of the year, highlighters weren't a product every cosmetic line was carrying. You couldn't even find them in the drugstore! My, how times have changed. Now, not only can you find insanely beautiful highlighters at Sephora and Ulta, but you can also pick up creamy, liquid and pressed powder formulations at your nearest drugstore. On top of that, there are now shades for the palest and darkest of beauties. Finally, the options are versatile and inclusive. You can use highlights in tons of different ways, from mixing them into your foundation to simply brushing a bit under your blush for a glow from within. Here are my favorite breakout and brand new highlighters from this year. This was the highlight of the year, breaking Sephora's record for the most purchased product on the day of release. It's truly a universal shade and that's why it's now a holy grail item. These Glow Kits were just released in honor of creator Anastasia Soare's birthday, but I'm betting they're going to be a huge hit. They come in this warm shade and another rosier shade for lighter months. This is a really affordable drugstore product that comes in three diverse shades and blends effortlessly into the skin. Color Pop has amazing products for an unreal price, and they finally got real recognition this year thanks to many beauty blogger and vlogger fans. This is another universal shade that doubles great as an eyeshadow. BECCA is known for it's highlighters, but often the super fair customers couldn't get a perfect glow. That changed with the ultra frosty edition of Pearl, which is perfect for light tones. This is a new matte highlighter that's a shimmerless baby pink, so it's totally natural looking. Hourglass highlights are cult favorites, so when they released a palette all our dreams came true. There is a little something for all tones, and the darker shade works as a bronzer for lighter tones. Even Khloe Kardashian loves these highlighters, which come in four colors and are really intense. For something this pigmented, I like to put it under a blush. This has a special technology that diffuses harsh light, the kind that makes you look more oily than dewy.